My mom is a huge advocate for letting 'cats be cats' and letting them go outside. Once Leslie got that first breath of fresh air, there was no stopping her. If she had it her way, she'd be outside all the time only coming in to eat. One afternoon, I let Leslie outside. Later that evening, I called her name to get her to come back in and she didn't come at first, which normally she would. I waited an hour, called her again, but still nothing. Now it was getting late and still no sign. 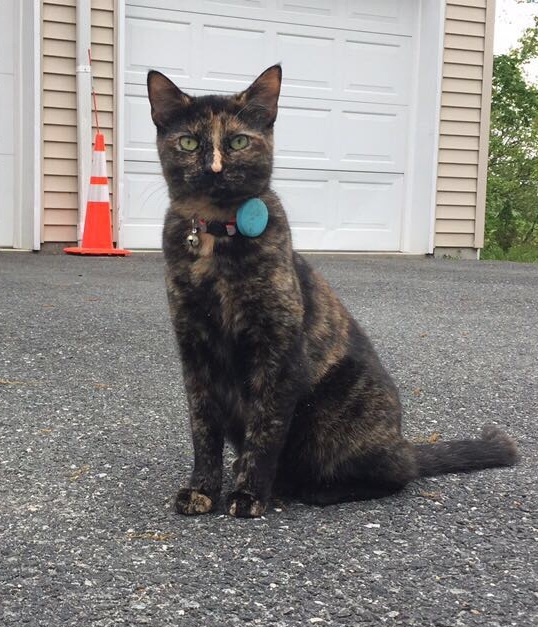 5 days had gone by with me canvassing my neighbors yards, posting 'Lost Cat' signs all over town, and registering her to a local lost cat website. I was heartbroken. I couldn't stop blaming myself - why hadn't I looked into a cat tracker before? I prayed that Leslie would come home and I vowed I wouldn't let her outside again without one. Early on the 6th morning, Leslie found her way home. We believe she was stuck in our neighbor's garage and only escaped because it was trash day. She was famished. That day, I did my research and bought a TabCat. It has been the BEST purchase I've ever made for her. Now I can always know what direction Leslie went in, if she's near or far, and if she's coming towards me. Since she's been wearing it for a while now, she knows that once she hears her collar start beeping, she knows Mama is looking for her and it's time to come home! I only have positive things to say about TabCat and it gives me the peace of mind whenever Leslie goes outside. It doesn't bother her, it's lightweight, and it's durable. I couldn't thank TabCat enough!